The land of the Arakan’s creation was 5 million years ago, and the origin people of Arakan entered from part of India in about 5,000 years ago. Politic: Under different periods of history, Arakan had been an independent and sovereign monarchy ruled by Hindus, Buddhists and Muslims. Possibly the history of Arakan can be classified in the following manner into 10 periods; (1) 100-788 AD (Some Hindu dynasties), (2) 788-957 AD (Chandra Hindu dynasty), (3) 957-1430 (A Chaotic period of Mongolians, Buddhists and Muslims), (4) 1430-1784 AD (Mrauk-U dynasty of Muslims & Buddhists), (5) 1784-1826 AD (Burman Buddhist Rule), (6) 1826-1948 AD (British Colonial Rule), (7) 1948-1962 (Parliamentary Democracy Rule), (8) 1962-1974 AD (Revolutionary Military Government Rule), (9) 1975-1988 (One Party Socialist Programme Party Government Rule), (10) 1988-1999 AD (SLORC/SPDC Military Government Rule). Arakan to Rakhine state: In 1974 the Burmese Socialist Programme Party (BSPP)government of Ne Win constituted Rakhine State from Arakan Division to restoration of Rakhine Independence. The government also created 17 townships before this changes. More in 1983, Thandwe, Gwa, Taungup, Ponnagyan townships were defined as Muslim-free Zones by government. Later from Portugal slavery time, some people from Bangladesh including non-Bangladeshies, were brought into Arakan and sold as slaves to Arab traders and Arakaneses. Thou, we can say today Rohingya is mixed stocks of Arab, Mongolia, Arakanese (Maghs) and clashed into Fore-Arian, Indo-Arian, Indo-Mongo. As Burma is originally home to firstly Pyu states and secondly Mon states. I would not make mention as some mix from Bengali as some states of Bangladesh (Cittagong) were well enacted and fell under Arakan for some periods and separated later. 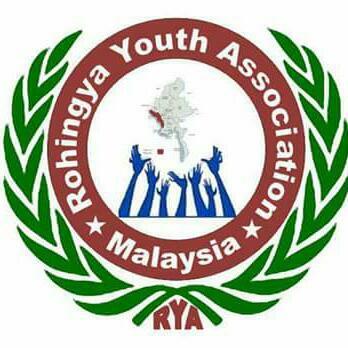 The name of Rohingya is founded as the people from Roshang/Rohang-Arakan: Rohang-Gya (‘Gya’ is villager). Like ‘Rakhasa’ to ‘Rakkha’ to ‘Rakkhaing’ to Rakhaing (Rakhine). Like Arakan to Rakhine, Burma to Myanmar. Time by time, states, people, names, cultures, are changed based on determination by influences. The official population in 2007 was 3,744,976, and in 2010 the population was estimated to be 3.83 million. The state is inhabited primarily by two major groups of people, the Rakhine ethnic group and the Rohingya ethnic group. According to Government Divisional Administration estimates, 10,33,212 Rohingya live in Northern Arakan State. The majority of the people of Arakan State are Buddhists, with the second-largest group being Muslims. The Burmese government estimates that in Arakan State, 59.7% of the population (22,35,750 people) is Buddhist, while 35.6% (13,33,212 people) follow Islam, and 4.7% (1,73,014 people) is constituted of people of other religions. The Muslim Rohingya primarily live in the Arakan region of the country where they constitute around 30% of the total population of Arakan State and speak a dialect distinct from Burmese and Bengali. Myanmar (formerly known as Burma) has an estimated population of approximately 58 million, 15 percent of which is Muslim. The majority of the people of Myanmar are Buddhists. (Historic Budder Mukam (Pir Badar Sha), It was built in memory of the eminent Saint Allama Shah. It was seized since 1978 and now in navy base camp, near by Sittwe-point, on the southern side of Akyab Island. Another famous shrine one in Sittwe/Akyab is Babagyi Mosque (Babazi Shah Monayem of Ambari ) situated on the southern bank of Sittwe lake @ Kan-daw-gyi. It was also seized in about 1985 and occupied as military area. Stone structure Sandhi Khan Mosque, situated in Mintayabyin @ Kwan Lon, Mrauk-U, built in 1433 AD. Arabic is a main script for Muslims around the world, thus Arab traders introduced Arabic language in Arakan. Later Persian language (sub Arabic), Urdu (sub-Arabic) and English language used in colonial period, now lately in Burmese but not in Bengali script. As Rohingya’s culture, tradition, script, were destroyed due to unavoidable violations in every power transition periods. Mostly from other parts of Rohingyas where mostly Rakhines speak dialect in Rakhine language and Burmese in many cities so that today Rohingya learn Burmese script from their education and Arabic and Urdu from religious class. Latest script of Rohingya is yet to be form. Some exile groups in developed countries have introduced ‘Romanized Alphabet-Rohingya Script’, example in Australia. Similarly, India descendent religion Buddhism Rakhine or Burmese used India-Brami words to Pali-subbrami to complete Burmese script today was based from the Mon script. Others minorities speaking in the Rohingya dialects are Mro, Thet or Chakma, Khami, Dainet, and Maramagri. Amongst them, the Rohingya people are Muslim and therefore, the problems remains for the Rohingya only. If we look a back, we would found that the God Buddha is the son of king ‘A-Taw-Ka’ and began from Biha-India, and preached firstly into Arakan and later to upper Burma in Burma. Thus, significant groups like Dianet, Maramagyi and Hindu are seen as the first class, the Arakanese Rakhine is the second class and later Burman from upper Burma is the third class, are indisputable ranks in Buddhism, such as ‘thayrawada’ and ‘mahayana’ in religion. Undeniable that today the dialect of the Rohingya is close to the first class groups of Buddhist. But, the 1982 citizenship law denied the Rohingya to be a national ethnic group or full citizenship. As well as, others types of Muslims in Burma are also applied similarly. They are also like Rohingyas not allow to recourse to become new citizenship with own identity under the new constitution act. In 2003 Nov, Malaysia Foreign Minister Datuk Seri Syed Hamid Alber had been concerned about Rohingyas but Myanmar Government is not willing to accept and Embassy of Myanmar Counceller U Khin Maung Lynn said that Rohingya is not among from Ethnic groups and infected from Bangladesh in 1970s. Burma citizenship law denied citizenship to member of Muslim minority in Arkan State, generally known as “Rohingya”. (“according to a join statement release by six independent human rights expert in 04 April 2007”). However, the Rohingya’s long rooted in Arakan is considered as an indigenous ethnic group of Arakan rather than the Burmese ethnic. Today Rohingyas sprung up and seeking refuge from the world but the Refugee Agency remains through ignoring their plights by turning to the other issues of around the world. The fact that Rohingya belief, Rohingya is not one of the group prioritized by developed countries. A short Point of Earlier than others: Tibeto-Burman speaking Burmans, or the Bamar, began migrating to the Ayeyarwady valley from present-day Yunnan‘s Nanzhao kingdom starting in 7th century AD. Filling the power gap left by the Pyu, the Burmans established a small kingdom centred in Bagan in 849. But it was not until the reign of King Anawrahta (1044 – 1077) that Bagan’s influence expanded throughout much of present-day Burma. It was also known as Burma’s first emperor, Bagan Dynasty. After Anawrahta’s capture of the Mon capital of Thaton in 1057, the Burmans adopted Theravada Buddhism from the Mons. The Burmese script was created, based on the Mon script, during the reign of King Kyanzittha (1084 – 1112). Prosperous from trade, Bagan kings built many magnificent temples and pagodas throughout the country – many of which can still be seen today. 19th Century descendent from Han-China, Wah are recognized and given citizenship. 18-19th Century descendent from Muslim-China, Panthey, are not recognized and but given foreigner-ship. 18th Century descendent from Malay , Pashu, are not recognized but given citizenship. Later from Colony war, non-Muslims are recognized and given citizenship but Muslims are not recognized and given temporary card. 17th Century descendent from India-Archer, Kaman, are recognized but given to few and disputation is still existed. Because of the Rohingya are not being religious of them, they were being expelled by Burma rulers and often by local groups causes of instigations. However, how deny by military government, the root cause and historical existences, proves will not be dimmed forever. If we have mechanism which can generate changes in Burma with people elected government firstly with initiation of genuine federal democracy system which could grantee the dignity and the rights of the entire people and sustainable economic gains, Rohingya could found their rights! However, the Democracy means majority representatives therefore acception of millions of Rohingya refugees from around the world is unrealistic, no matter who rule in the future.